The Linksys Business LAPAC2600C Dual-Band Wireless Cloud Access Point lets you easily control your network anytime, and from anywhere, using Cloud Manager. 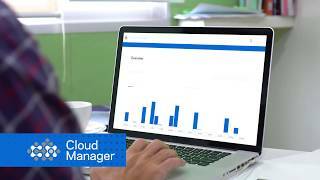 With the cloud license included, Cloud Manager offers a centralized management solution that is truly affordable. 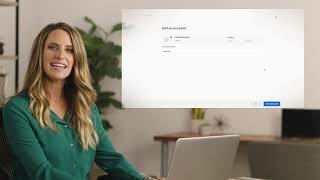 ** This browser-based cloud management system takes the hassle out of managing multiple access points, sites, and customers. The simple interface displays real-time status of all your networks as well as helpful statistics on each access point. The LAPAC2600C Access Point allows centralized management via Cloud Manager to reduce the cost and complexity of managing multiple wireless access points. By enabling you to establish and manage all of your access points from an easy to use dashboard and a single pane of glass, this feature greatly streamlines administration and can save hours of technical labor. The LAPAC2600C Access Point uses MU-MIMO (Multi-User, Multiple-Input, Multiple-Output) technology to ensure multiple simultaneous connections. MU-MIMO provides a dedicated data stream for each connected client, so your employees won't have to compete with one another for bandwidth. Multiple users will be able to simultaneously engage in video conferencing, download large files, and perform other data-intensive tasks with minimal or no latency on their devices. The LAPAC2600C Access Point leverages the latest Wireless-AC technology to ensure faster WiFi speeds and increased productivity for your entire office. The wireless access point features dual wireless bands (2.4 GHz and 5 GHz) and delivers combined speeds of up to 2.53 Gbps* to support high-bandwidth activities such as video conferencing and cloud storage syncing. Thanks to its PoE+ (Power over Ethernet Plus) capabilities, the LAPAC2600C Wireless Access Point can draw both power and data from a single Ethernet cable. There is no need for a separate power adapter or nearby electrical outlet: simply connect the LAPAC2600C to a PoE+-enabled switch or PoE injector, and the access point can function using just one Ethernet cable. To ensure that your company's data is secure, the LAPAC2600C Wireless-AC Access Point is equipped with an array of business-class security features. The wireless access point gives your business full control over access rights with WPA/WPA2 security. Rogue AP Detection helps administrators identify authorized access points across the network, while MAC address filtering provides an additional layer of protection. * Specifications are subject to change without notice. An active, customer-purchased Internet Service Provider broadband account is required for connection of this product and other connected devices to the Internet. Some devices may require additional wireless adapters or an Ethernet cable to connect. Maximum performance derived from IEEE Standard 802.11 specifications. Actual performance may vary, including lower wireless network capacity, data throughput rate, speed, range and coverage. Performance depends upon many factors, conditions and variables, including building materials and construction, volume of network traffic, mix of wireless products used, interference and other adverse conditions. In order to achieve the best performance, this product must be used with compatible AC2600 wireless devices. The standard transmission rates—1733 Mbps (for 5 GHz radio), 800 Mbps (for 2.4 GHz)—are the physical data rates. Actual data throughput will be lower and may depend on the mix of wireless products used and external factors. May require a software/firmware update available for download at linksys.com/support.